Can you supply any cannon showing Peter looking to others for advice? Personally I can’t think of any but my brain isn’t working too well atm so I might just be forgetting something fairly important. I think he felt "better mocked and cruciated as an ally than AK'ed as an enemy." It is very easy to say or think “I would never do that” but when the chips are down we don’t always react in the way we expect I think a lot of people would, understandably, end up choosing life. Don’t get me wrong I don’t like what Peter did, I don’t think it was a great thing for him to have done but I can see why he might have made the choice he did – that’s all I’m saying. I can see what you mean about Peter's point of view, but I still think what he did was vile. I don’t think that applies to the other marauders, Order members or the general public; the vast majority of people were not approached by DE & that is what makes Peters position so different & dangerous. I think if Peter had disappeared shortly after he was approached, Voldemort would have had more important things to attend to than an AWOL minor spy. Rumours could have been spread that he was discovered and killed by the Order, he could have been hidden. It might or might not have worked but is that something you think many people would like to bet their lives on, and more importantly would Peter? Or maybe Peter was smart enough not to lie to Dumbledore – Severus shows that often we don’t have to outright lie to mislead people. And as we have seen Dumbledore is not infallible. I suspect Peter is actually both quite intelligent and not as awful at magic as some characters have suggested. His plot to throw the blame onto Sirius was a accomplished one and it worked – so he can’t be that dumb. And he performed the spell to resurrect Voldermort – which I doubt was one that was easy to cast. Which reminds me of the fact that he managed to cut off his own hand – I wonder was that brave? I’m not sure I could have done it and I know people talk about someone cutting off a limb to escape a vehicle wreck in a manner that implies admiration of courage. If its not courage what is it? Just wondering? While he was incorrect to suggest he had no choice his erstwhile friend was equally wrong to suggest that choosing death was a simple and easy decision – it simply isn’t. But do you think that Peter thought he could tell anyone with out Voldermort – the most powerful dark wizard who had ever existed – finding out? And again is that a risk that many people would choose. I agree these options may have existed but again I repeat they are not easy choices and this one relies on the fact the Peter on top of everything else believed that the marauders would have understood. I’m not sure he believed that. I don't really think it was fair, only because Sirius didn't consider how different him and Peter were. Not all friends would die for each other, and some people are terrified of death- even more so than usual. I think Peter was definitely envious and probably did feel both left out and inferior. Remus also must've felt left out at times, but I think he was just really grateful to have them around at all. I don't really want to answer cuz I don't remember when Remus was ever a suspect But I agree with the others who say it was probably because he was a werewolf. Both, but probably more adventurous. Sirius probably found it funny, and even sad at times. Remus might've thought it to be cute or may have pitied him. I doubt Peter really cared. I think she only influenced them at all was because James loved her. Other than that, she wasn't a big role in the Marauder's life, all-together. Remus may've been a bit hurt, but also understanding. Peter was probably hurt. I don't think he was ever happy, and never really wanted to do it. But he cared about his life more than his friends, so I don't feel very sympathetic for him. I doubt they would forgive him. Maybe a bit. 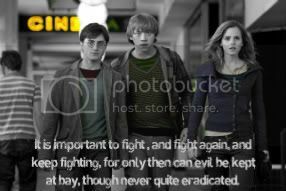 I think they all wanted Voldemort stopped and were courageous enough to join- Except maybe Peter's case. He seemed like a coward, but I'm sure he still wanted Voldy to be stopped, even if it probably took some nudging from his friends to join. I've never really compared them. James and Sirius were a bit like Fred and George, but more cruel and not funny, unlike the twins. I suppose it chaged my opinion of Peter slightly, because of how and why he died. Snape's worst memory always made me think a bit less of them, but in the end, I think they were portrayed favourably. It's a hard decision; Sirius used to be my favorite, because of his charisma. I think the other's appreciated that about him. Anyways, I can decide between him and Remus. Remus was very kind (despite being a werewolf), courageous, and smart. I think these were the traits that his friends loved about him most. ...One thing that bothered me was why Peter returned to Voldemort. Sirius was not about to hunt him again. He could have gone off somewhere and remained hidden. Instead he goes and finds Voldemort and helps bring him back to power. 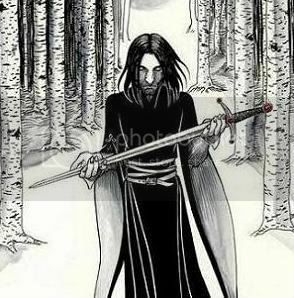 Why do you think Sirius would not have continued to hunt him? He escaped Azkaban in order to hunt him, why wouldn't he continue just because Peter had fled? True, he would have to do it while hiding from the ministry, but I don't see Sirius as stopping. And it isn't as if Peter thought that Sirius had been 'recaptured'. ...Regarding how Peter initially became a spy, IMO Peter had a huge advantage being a rat. He should have agreed to Vodemort and then just taken off. Voldemort wasn't about to go searching after Peter. Unless Voldemort did think of this and made plans to prevent Peter from fleeing. Why do you believe Voldy wouldn't go searching after Peter? Peter was his link to finding the hiding spot of the Potters. It is also unknown whether Peter could have been tracked through the mark. The mark can be used to summon Voldy and/or other DEs - whether it can also be used to find one in hiding is unknown. Of course Peter could have chopped his own arm off. But I doubt Voldy would have just let Peter flee. Last edited by hwyla; March 25th, 2010 at 2:34 pm. Fleeing was not Peter's only option, either. It's not a very attractive one - who wants to live years as a rat? Peter was driven to it by circumstances after the Potters were killed, I would say, he was not always thinking of that as a workable backup plan. Another option theoretically open to Peter would have been to agree, and then turn around and tell his friends what had happened. Not necessarily to act as a double spy, a la Snape, that takes unusual nerve and talents we have no evidence Peter possessed in the area of Occlumency, but just so his friends know of the danger and don't tell him important stuff, and also perhaps help Peter to hide. But Peter did not take this option. I wonder why he would not have told his friends. Personally, I think he did not feel an equal partner with the others, not loved, trusted, and important to the other Marauders. I think their relationship was such that Peter did not expect any of his friends would help him, and expected they might deride him for getting himself into this mess in the first place, for being such a weak thing and not defying Voldemort, etc. "You should have died rather than betray us" is what Sirius told him in PoA. (A perfectly understandable display of anger under the circumstances). I don't think Peter expected any more constructive advice or actions from them earlier, however. Maybe not advice so much as leadership, someone to follow - it's often supposed in this thread that he joined the Order because the other three did. How is it any different from saying the non-DE Marauders were bullies and arrogant? And in this case, I'm speaking of my opinion of Peter's actions, not Peter himself. As an Order member, he would have been expected not to betray his fellow members. Whatever his reasons for joining, that expectation was there. And it's not unreasonable, imo. A soldier enlisting is also expected not to betray his fellows. He was, but he could have chosen, at some point in that year, to speak to Dumbledore, to get help. Dumbledore would have done something about it, to hide him, if not for Peter's own sake, to keep further information from getting to Voldemort. He was already betting his life when serving Voldemort - especially as Voldemort knew Peter was only loyal to himself. We don't know if Peter had any Occlumency skills. Even if he wasn't lying outright, something would have been discernible if Dumbledore had been using Legilimency. Oh, I agree. He was smarter than he's given credit for. Maybe he's an underachiever, maybe he only puts in a huge effort when he sees benefit (like Crabbe and Goyle mastering Unforgivables). There's also the Animagus transformation -even if he needed help, as we are told in PoA, he managed it as a teenager - no mean feat. No, it's not an easy decision, I'll admit. But does he ever show any remorse that we see that his decision cost his friends their lives? His explanations in the Shack are full of self-pity, imo and don't show any regret. In saying that a lot of people would choose life, I think a lot of people would also regret what their decision cost others. What would Sirius have to go on to find him again? It was a pure fluke with the newspaper that Sirius knew where Peter was once. Plus, Sirius didn't go searching after Peter. And he didn't know that Peter had returned to Voldemort, until much later. What about before Peter became SK? Voldy was worried enough about the prophecy to GO INTO HIDING himself (as per Sirius in PoA, Voldy had been in hiding since approx. the time of the prophecy). I can't remember any quote saying that Voldemort was in hiding, I seem to remember it being said that he was hunting the Potters for over a year, though. It is also unknown whether Peter could have been tracked through the mark. The mark can be used to summon Voldy and/or other DEs - whether it can also be used to find one in hiding is unknown. The Mark is probably how Voldemort found Karkaroff. But I doubt Peter was marked immediately he was approached for information. Greyback wore DE robes, fought with them, and wasn't branded, nor were the Snatchers. It seems the Mark was considered highly significant, I don't think Peter would have been marked from the beginning. Maybe after he'd passed a reasonable amount of information to Voldemort/the DEs who contacted him. Sirius went after Peter because he was at Hogwarts in perfect position to harm Harry. I doubt he would go hunting after Peter after all the events in PoA. He would have stayed for Harry rather than go haring after Peter. The only reason I can think of is that Peter panicked and assumed that the ministry would believe Sirius and start hunting for him. Voldemort was never in hiding as far as I remember and Peter was made SK after almost a year of being a spy. Why would he go chasing after him? Voldemort already had a spy in Snape. IMO it is quite likely that Voldemort had taken some measures to prevent Peter from fleeing. I'm not sure if it was the Dark Mark though. It seems a pretty easy way to identify whether someone is in cahoots with Voldemort. It would be especially risky to have it on a spy unless there was some way of hiding it. I'm not sure I'm following you here. Voldemort does not relegate universal spying duties to a single person. We know from the Second Wizarding War that it's his style to have spies everywhere - to infiltrate everything he can infiltrate. Peter would have been the one spying on the Potters because he was their friend. And nobody except Voldemort appears to have known that Peter was the SK/spy. It's pretty clear from PoA that the double agent you mentioned was not in the loop WRT Peter. Fair point. I guess Voldemort did have measures in place to prevent Peter from fleeing. I think he would have been aware of the possibility that Peter might try to escape. I think it was in integral part of being a friend. I think they considered themselves (at least 3 of them did) friends, and, expected loyalty from one another because of that. I think Lupin was glad to have people who accepted him and were willing to be with him during his "darker times." James provided financial assistance to Lupin even after they left school, so, they must have been fairly close, even if not quite as close as James and Sirius. IMO, Peter must have felt less a part of the group or he would not have turned on them so easily, leading to James' and Lily's deaths and to Sirius' imprisonment. The only secret he seemed to keep was Lupin being a werewolf. That doesn't seem to come out until after the end of PoA. I don't know. Like I said above, Peter seems to have kept Remus' alter-ego to himself, even from Voldemort for a while. I would say if he'd told Voldemort, Lucius Malfoy would have been aware of it and Remus would never have been allowed to even start teaching at Hogwarts. Adventerous. I feel this was just a way of flaunting both the school rules by sneaking out and flaunting MoM/WW rules by not registering. If they were noble, they could have learned to make the potion that Snape made to help Remus during PoA, which would have been more helpful to him. Hermoine learned to make several very complicated potions, so, with their backgrounds (all from magic families) and abilities they should have been able to work it out. It didn't seem to make much difference. I think they would have cheered James on as Lily was beautiful, talented, and, very, very well liked by other students and by the teachers. She seemed a prime catch for an adventerous jock. Remus seemed to be an easy-going type, so, I don't think he'd have been bothered. They may have told him he'd be godfather for the next child. I don't think Pettigrew really cared one way or the other. I think Pettigrew was out for Pettigrew, and, unless there was something in it for him, it wouldn't have mattered. Again, I feel that he was out for himself, and, it didn't matter to him as long as he was able to get away after he completed his foul deed. Possibly. But, I think Lupin would have anyway. I've already stated my opinion of Pettigrew and his motives for anything? Pettigrew. How do the Marauders compare to Fred and George? Fred and George didn't seem to be as malicious with their pranks. They didn't seem into personal harassment. Their pranks were more general and joking, and their "victims" more widespread. Even though their pranks were not meant to be harmful, they did go wrong occasionally. But, I think this was really accidental and not on purpose -- except what they did to Umbridge when they were leaving Hogwarts. Do you think that they, and especially James and Sirius, were worse or just as (un)funny as the Weasley twins? I don't think the Marauders were funny. I see them more in the same ilk as Draco and his buddies Crabbe and Goyle. Their pranks seemed to have more malice than mirth. I think they lose some of their original image as dashing pranksters and come across more as spoiled bullies. I really was a bit disappointed in James, but, more for Harry's sake. It made him feel bad to see some of the things his dad did as a Marauder. Remus. He had a terrible handicap, but, still wanted to go to Hogwarts and wanted to hone his wizarding skills. He wold have had to work twice as hard as the others since he was missing school quite a bit during his werewolf transformations. But, he made Prefect, which was a huge accomplishment, IMO. I sometimes thought that Remus was an excuse for the others to break rules. I can't believe I haven't answered these questions yet. Okay, here I go. Sirius and Peter were very differently people so they thought very differently. Sirius was more of a brave and gallant character, and I don't think he was being unfair as much as naive to think that Peter would do the same. They also had pretty different positions. Peter might have felt a little out of place or not belonging with the other three, even though they treated him the same way they treated each other. As a Marauder, he was IMO on the end of the line and the least "cool", and I think he realized that. I think they admired their friends and were rather pleased to have been a part of their circle at all. However, they probably did feel a little envious at times, especially Peter. Remus probably felt a bit too, but he was on the more mature side and he probably understood perfectly. The secret keeper was most likely one of the four Marauders. Peter was said to have been dead, blown to pieces by Sirius for having "stood up" to him. He was also the innocent, nervous one, and probably not the first to be suspected. I think it was a bit of both. They were definitely good, loyal friends, and would have done anything for each other. The fact that becoming Animagi would have suited their adventurous streak did not hurt either. Sirius probably didn't take it too seriously (no pun intended) and thought James was a bit of an idiot for being so obsessed with her, but he probably encouraged/teased him anyways. Peter was probably jealous/admiring as always. I think Remus was quite happy that James was pursuing a "good" girl like Lily Evans. As seen in SWM, James suddenly pulled on a more mature face when Lily came by. I think Lupin was quite happy that there was something he really wanted other than to cause mischief. I don't think she did. I think she matured the tone a bit, but they remained largely the same people they always were and she just shrunk James's head a bit. I don't think they were actually hurt by the decision, as they couldn't have really expected any differently. They might have been a bit envious but I don't think either of them dwelled on the matter. I don't think so. Lupin and Sirius saw their best friend killed as a result, and for them (definitely for Sirius, if not for Lupin), to betray friends was the most despicable crime imaginable. I think their love and caring for James and Lily was far greater than their ability to forgive and forget. It's very possible. I think Remus would have joined on free will, especially since there weren't too many real occupations he could have taken, being a werewolf. I don't think Peter was actually given pressure from his friends, but it was kind of expected that he joined. I think joining the Order also gave him the sense of belonging, the cause for many of his actions. I don't think Peter had completely crossed over at the time, though he was definitely having DE leanings. I think their senses of humour were very different. I think James and Sirius were more teasing and troublesome, while Fred and George had more creative humour. I'm sure James and Sirius had their humourous moments that did not involve bullying, but we didn't exactly see too many of their scenes. Aside from bullying Snape, the only humourous point we really read about was the jokes about Remus being a werewolf after the OWLs, and I thought it was pretty funny. I don't see much of an indication that James and Sirius were unfunny, and I think Fred and George are also quite funny. They were certainly portrayed in a much better way than they were in SWM. I don't think it was favourable or unfavourable. However, I don't think I can fairly answer this question, being an extremely pro-James person. I like James best because of his courage, his sense of humour, his loyalty, and his ability to love. I think the Marauders definitely did appreciate these traits. I also really loved his sudden change and character development, and his unfailing love for Lily. Sirius says in PoA that he heard people talking in their sleep in Azkaban, about Peter and how he double-crossed them, and that he's lucky they think him dead. I know all the DEs didn't know about Peter, or else Snape would have known, but some of them seem to have known. Sirius and Peter were very differently people so they thought very differently. Sirius was more of a brave and gallant character, and I don't think he was being unfair as much as naive to think that Peter would do the same. I think that's an interesting slant. Sirius may well have believed that his friends would do as he would when faced with a moral dilemma. Betraying a friend is clearly abhorrent to him, and that's why he's so shocked. I don't know if they'd be too envious, really. I mean, they probably expected there would be more mini-Potters and that they would become godparents to these kids. I don't think Peter had completely crossed over at the time, though he was definitely having DE leanings. I don't think Peter had DE leanings, as in their prejudices, or cruelty, or desire for power. I think it was purely self-preservation. I really think he'd have preferred to stay out of it altogether and gone unnoticed by Voldemort. I think their senses of humour were very different. I think James and Sirius were more teasing and troublesome, while Fred and George had more creative humour. I'm sure James and Sirius had their humourous moments that did not involve bullying, but we didn't exactly see too many of their scenes. That's just it -we don't see many of the Marauders' scenes. If all we saw of Fred and George was of them stuffing Montague into the Vanishing Cabinet, assessments of their character would be very different. We don't get to see the Marauders in class, or inside Gryffindor Tower, so we really don't know how they got on with most of the others outside their group. It was also an integral part of being in the Order, imo. Whether or not Peter considered the others friends, he knew that he was a member of the Order. That's an interesting point - Remus' secret doesn't seem to be out at this point. Although, Voldemort may not necessarily share everything he knows with Lucius. Or, Peter may not have told Voldemort because he was only interested in getting information on the Potters from Peter at the time. Adventerous. I feel this was just a way of flaunting both the school rules by sneaking out and flaunting MoM/WW rules by not registering. If they were noble, they could have learned to make the potion that Snape made to help Remus during PoA, which would have been more helpful to him. The Wolfsbane Potion is referred to in PoA as a very recent discovery. Which indicates that it wasn't in existence at the time the Marauders were in school. And if it were, I think Dumbledore would have had Slughorn make it. Apart from the fact that the Marauders weren't junior DEs, weren't prejudiced against Muggleborns and weren't practicing Unforgivables in school. I definitely agree with you. I'm pretty sure I said that in one of my other posts. I think anyone who joined the Order should be willing to die for the cause. They need to look out for each other and realize as Sirius says "There are things worth dying for". I think in the Marauders case it did also have to do with them being friends. Sirius was a very loyal person who made the mistake in believing Wormtail would die for him. James and Remus would have died for Sirius for sure and I think Sirius just assumed Wormtail would too. Sadly Wromtail ruined all their lives instead. Sirius went after Peter because he was at Hogwarts in perfect position to harm Harry. I doubt he would go hunting after Peter after all the events in PoA. He would have stayed for Harry rather than go haring after Peter. IF I recall correctly, according to Sirius in PoA, Voldy went into hiding approx 15 years prior. This is at a time when Harry is not yet 14. Therefore, Voldy went into hiding approx. a year before Harry's birth - despite the fact that he was supposedly 'winning' at the time. The only thing we know of that was happening around that time was the prophecy (less a few months short of a year). And while Peter wasn't made SK until almost a year as a spy for Voldy, Albus told the Potters to use a Fidelius because it was so hard to hide from Voldy (as per Fudge in PoA). In other words, they were having trouble staying hidden. Therefore, Peter was giving up their locations all along. I believe it was Minerva who said Voldy's spy was reporting to him on the Potters' "movements". How else would they be sure that the spy was most certainly a Marauder? I cannot see James and Sirius believing Remus was the traitor UNLESS it was down to a choice between him or Peter. Last edited by hwyla; March 26th, 2010 at 2:21 am. Thanks for the clarification. It looks like I need to read PoA again. Twist my arm! Last edited by hwyla; March 26th, 2010 at 5:10 am. I think Peter was not suspected because the Potters were safe. I think it was as simple as that. The Potters were already in hiding and since Voldemort never attacked their home or even came near it, I think Dumbledore ruled out all the Marauders. I think he became suspicious only when Snape (I assume it was he) came with the information that the Potters are going to be attacked with the help of someone close to them (to tell Voldemort about the wards, I presume). I think once Dumbledore knew someone close to the Potters were leaking information and might have concluded that this could very well be the spy who was in the Order for over a year, his suspicions IMO went to Sirius (maybe because of his family which supported Voldemort and because Regulus and Bellatrix were DEs and Narcissa married to one). It was to prove to Dumbledore that Sirius was indeed trustworthy and would rather die then betray him, that James chose him as the SK IMO. I think so too. I think they believed Snape to be the double crosser, for Snape by that time was already in Hogwarts as Professor; Sirius believed Peter was the double crosser, because he did not even know Snape had been a DE (he says so to Harry in GOF). IF I recall correctly, according to Sirius in PoA, Voldy went into hiding approx 15 years prior. It's 12 years. Probably from the time Voldemort 'died'.